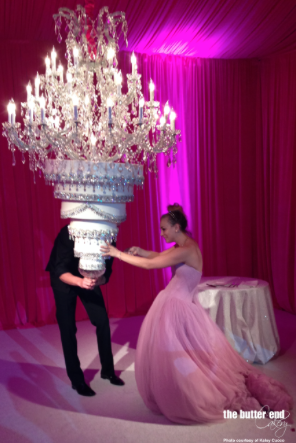 Big Bang Theory's Kaley Cuoco in Pink and an Upside Down Cake! Kaley reads Rebellious Brides!!! Okay, that is just a rumor I made up. But she sure is a rebel for choosing this unpretentious pink Vera Wang Dress. It was just so her! Barbie pink and all. I also love how she had her hair down! 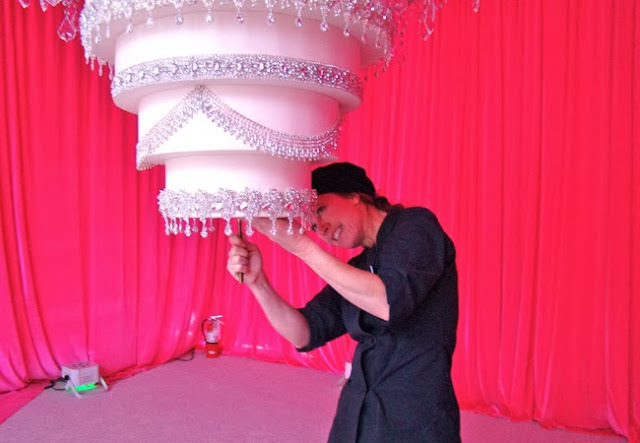 You have got to see this amazing hanging/upside down tiered cake! And in true geekiness/nerdiness (?! ), her cake had some Physics involved, one of Newton's law to be exact (defying gravity!). My mind went "boom" ala Big Bang when I saw her upside down chandelier cake. Now, that is one rebellious wedding cake! A new twist to cutting the cake! Goodness, what will rebel brides like Kaley and suppliers like the Butter End Cakery think of next! What's more, this awesome celebrity wedding was done on New Year's eve. How tremendously memorable! 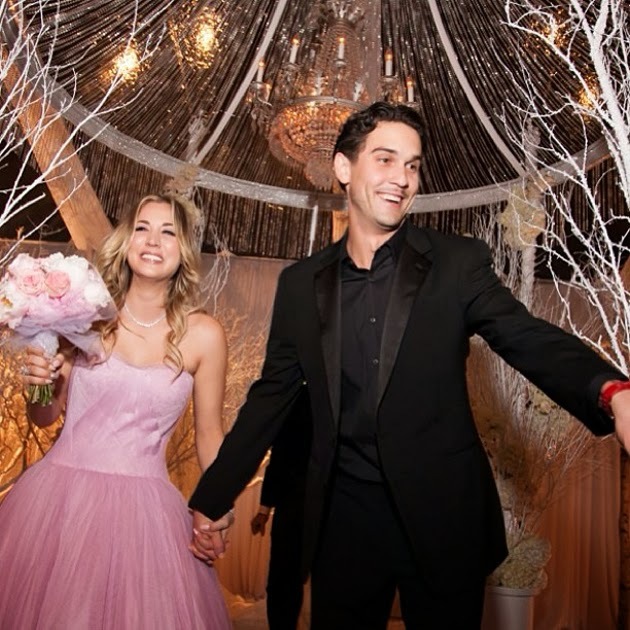 Indeed, Kaley Cuoco and Ryan Sweeting's wedding surely made a Big Bang! 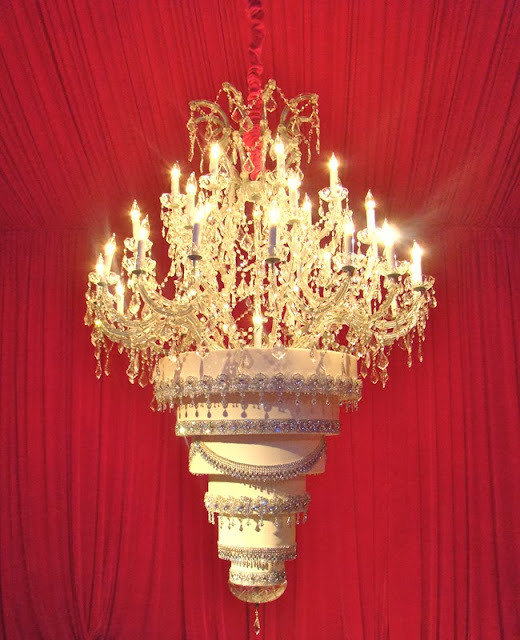 Chandelier cake is an awesome idea.